Me thinks it's time for another rendition of my favorite things... since I'm finding new ones all the time, you know. As in previous posts (here and here), these are just random *things* that I'm currently crushing on - completely unrelated to one another and in no particular order. Enjoy! I don't know what all that gobbledy-goop means. I just know it tastes damn good. Cheers! 2. Reusable Grocery Bags. It's so en vogue to be green, you know. And I'm trying to do my part. We've started recycling (after having it on the to-do list for years), I stopped buying bottled water and now use refillable bottles, and I also am using my own reusable grocery bags (when I remember to grab them on my way into the store). There are all kinds of fun bags everywhere. Most groceries have some sort of bag starting at $1 or so each. And designer bags have also come out, of course. I saw in the AJC a while back that Hermes came out with one. OK you could like buy a new clean environment with what that bag cost, but hey - I'm glad the filthy rich are all about being stylishly green too. I got some fun ones at IKEA recently for $1.49 and they are great. Total impulse buy - but they were so cheap and cute! That's definitely a good place to find some. I also found this site that has a lot of fun ones. 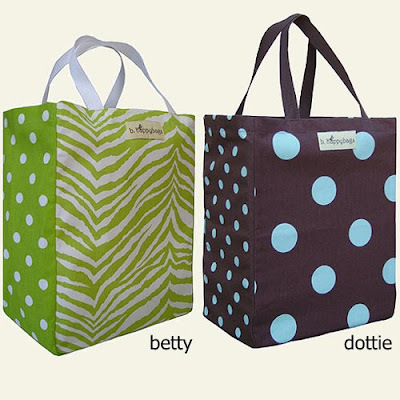 They're a little more costly - more than I'd want to spend on grocery bags, but super cute all the same. I can't get enough of these - I'm getting bestest to make me some too so I can be even more uber stylish at the grocery. 4. 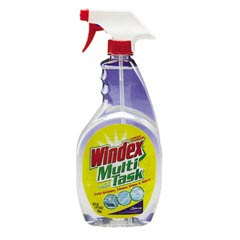 Windex Multi-Purpose Cleaner. OK so if I could only have one cleaning product in my household, it would hands-down be this one. I use it everywhere. A bottle of this and a dish towel - that's all I need - for anything. It goes on every surface. It's great on granite countertops - a lot of kitchen cleaners leave streaks or kind of a dull finish on granite, but this works great. It also does decently on stainless steel appliances - which if y'all have those, you know those can be a mess with fingerprints and such. I keep a bottle everywhere so I'm never without! Love it! 5. Vera Bradley Bowler. Well y'all know I love Vera Bradley, but I must share one of my most favorite bags... one of my fabulous girlfriends turned me on to this particular style. I'm usually a simple tote or hobo girl - anything that comes XXL as I like 'em big. So really all my other Vera handbags are simple large totes. I would initially walk past this bowler bag because it appears too small for me personally. But after my friend showed me hers, I HAD to have one! It zips all the way down on either side so it opens very very wide - you can see everything. It's got tons of storage pockets - several outside the bag and inside. I just love it. 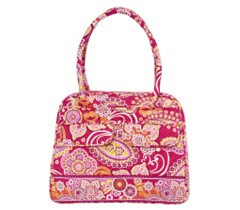 It's now my #1 Vera bag of choice and I currently own it in three patterns. Two of them the hub got me (via one of my girlfriends) at the Atlanta Vera sale last fall. Love!!! Where do you buy that wine? I love Marlborough Sav Blancs, I will have to try this!! I have found it at both Kroger and Publix. It's around $12 a bottle. Yum-o!!! 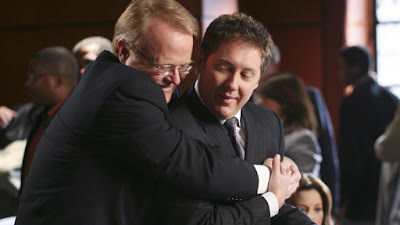 I love Boston Legal too. Sadly I've missed the past few episodes (surprise, surprise!). I think they've done an excellent job developing the Jerry character. And James Spader is so incredible as Alan. I'll have to check out the Windex! We love Boston Legal at our house. It's my husband's favorite show. I'll definitely try the wine; sounds perfect for the hot summer months. Just stumbled upon your blog from another one. Nice to find a fellow Vera lover! The bowler happens to be one of my favorites as well. And...that Windex Multi-purpose rocks!